A small lady stopped by my office. She had a ready smile, white hair, was neatly dressed and wore glossy pink lipstick, the epitome of what one would imagine an 88-year-old woman to be. Throw all your preconceived notions out the proverbial window. She was little, but a live wire. Her glossy lipstick matched her pink jacket and her smile reached my heart. When she revealed she was 88, my jaw hit the floor. She’s nothing like you imagine – and her mind – a steel trap. 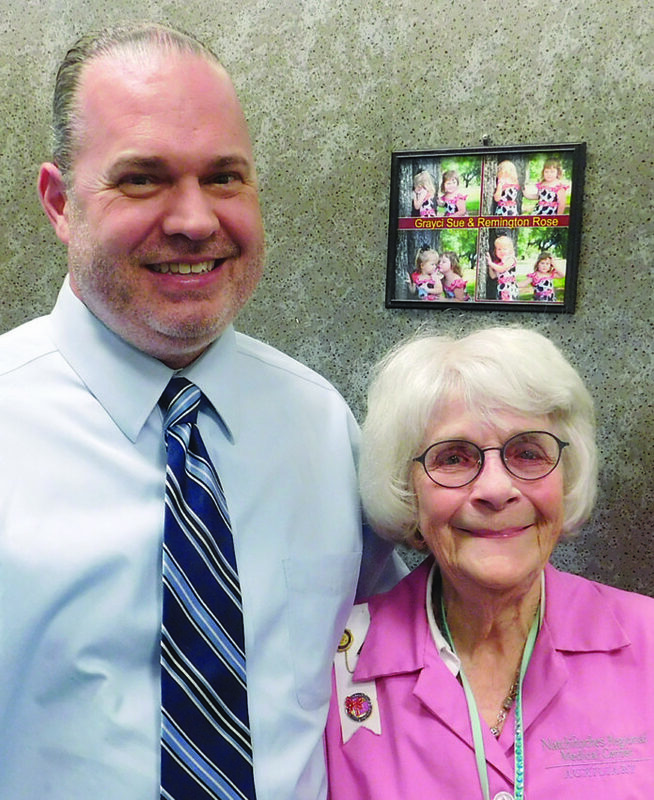 Nona Bobo was a teacher for 38 years at St. Mary’s, most of that as librarian. She recalled numerous groups of students who were in the same class, without hesitation. Quite a feat for someone who saw every child in the school and not just those in her classroom for nine months. These days, she volunteers as a Pink Lady at Natchitoches Regional Medical Center, something she has done since her retirement in 2008. She waltzed in with her matching pink jacket and lips and settled in to tell some stories. Former student Payne Williams accompanied her. Bobo will reminisce at the second annual Whatever Happened To…A Walk Down Memory Lane at St. Mary’s Saturday, March 10 at 7 p.m., an event Williams is helping organize. “Oh, I also did the yearbook. That was back in the days when you had to paste each thing down. I sponsored danceline. I couldn’t dance but I could cheer so I had them (the cheerleaders) too. And the concession stand and senior class sponsor,” Bobo said. She also started the Reading Rainbow and Accelerated Reader programs at St. Mary’s. Williams agreed it was hard to get something over on her. “She still has a list of late library books and the fines. They might be forgiven if they attend this event,” he laughed. She has seen doctors, priests, lawyers and teachers walk through her library doors and has a story to tell on almost every one of them. She taught Dr. Chris Maggio and attributes some of his successes to the way she molded him in his early years. John Ackel is another of her students. “He is a bank president, not a US president like Donald Trump. I say that quietly because I’m a republican,” she whispers. To hear Bobo, international entrepreneur Barry Guillet, class of 1964, celebrity chef Henry Chandler, class of 1977, and Dr. Chris Maggio, class of 1982, join them beginning at 6 p.m. for a social hour in the gym. Remembering when… will begin at 7 p.m. Tickets are $50 per person. Contact Williams at 318-352-6695 or Susan Wright at 352-8394.